In this guide, we’ll show you how to share your Wi-Fi connection from your iPhone to any other device—be it Apple, Android, or otherwise. This quick tip makes it easy to get friends connected or set up new devices on your network. You’ll never need to worry about misspelling or finding that cryptic Wi-Fi password again! 5G Is Coming, But Will Your iPhone Be Ready? Hunting down the WiFi password can be a real pain. Whether you’ve got friends wanting to get online or a new device set up—there always seems to be some reason the cryptic code is needed. These days most Wi-Fi routers come with useful cards that tell you the network name and password; but if you’re anything like me, remembering where you last put the card is as easy as remembering the 16-digit code itself! Fortunately, there’s a better way. Using savvy iOS improvements and innovative new Apps, it’s possible to share your Wi-Fi connection quickly and easily to any devices that need it—be they Apple products or otherwise. The release of iOS 11+ and OS X High Sierra+ brought with it a sly improvement to sharing WiFi connections. Apple designed it, as they do with all their services, to be as intuitive and pain-free as possible. If everything works correctly, you’ll simply be prompted to share your Wi-Fi password as soon as someone to connect to your network. This process should work for iPhones, iPads, iPods, Apple Watches, and Macs. Anything Apple! iPhone automatically prompts you to share your password. Unfortunately, as with all things, it isn’t always this simple. That’s why we’ve laid out a step-by-step guide below that will iron out any issues you may be experiencing. You can long press on the list of websites on the prior screen and copy either the userid or the password in one shot! With the exciting and varied world we live in, not everybody has an Apple device, so what about connecting Android devices to your network? Don’t worry; we can help with that too! Though it does take a little bit more groundwork beforehand. 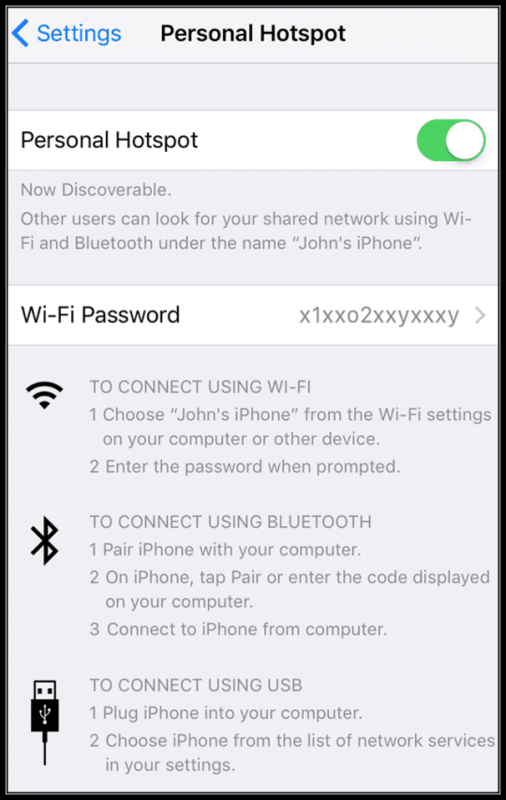 The easiest way to share your Wi-Fi connection with non-Apple devices is to create a QR Code with your network information in it. This process is simpler than it sounds—it also has the benefit of keeping your network details secure from prying eyes! Just follow the steps below to get started. There you have it—now you know how to share your Wi-Fi connection from your iPhone. It’s never been easier to get connected, and you can finally say goodbye to the days of misspelling your password five times in a row! Or is that just me? 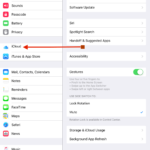 Most people don’t know that you can actually set-up and share your iPhone’s internet connection with other surrounding devices using the feature called Personal Hotspot. A Personal Hotspot lets you share your iPhone’s or iPad’s cellular data connection with other devices that don’t have current access to a WiFi network. It’s not available on all carriers, so let’s first check if your mobile service provider offers it. When you turn on Personal Hotspot, all connecting devices use data from your mobile/cellular data plan. So be mindful when connecting, as you may incur additional data charges or have your data rate throttled. This isn’t sharing the connection… it’s sharing the connection credentials.